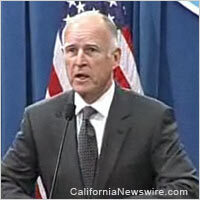 SACRAMENTO, Calif. /California Newswire/ — Governor Edmund G. Brown Jr. on Wednesday announced the following appointments. First, Dan Figueroa, 60, of Blythe, has been appointed to the Board of Parole Hearings. Figueroa worked at Chuckawalla Valley State Prison as a correctional counselor from 1996 to 2010 and as a business services supervisor from 1992 to 1996. He served as a property controller with the California Department of Corrections and Rehabilitation from 1988 to 1992. Figueroa worked at the Board of Equalization from 1982 to 1988, serving as a statewide recruitment coordinator and a business tax representative. This position requires Senate confirmation and the compensation is $111,845. Figueroa is a Democrat.